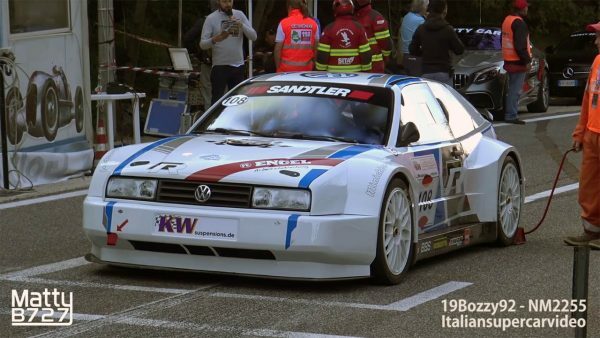 This Volkswagen Corrado is owned by Markus Reich and tuned by Minichberger Motorsport in Germany. The 800+ kg (1763+ lb) car competes in hill climb races with either Hans-Peter Eller and Markus Reich behind the wheel. It’s powered by a 2.0 L inline-four from an Audi A4 BTCC/STW race car that makes 310-340 horsepower at 10,000+ rpm.